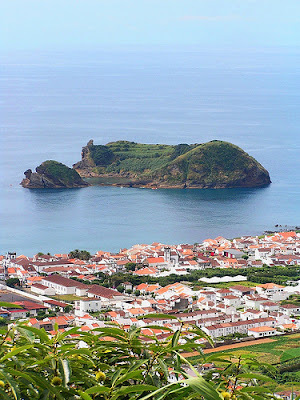 Vila Franca do Campo is a town and a municipality on the southern part of São Miguel Island in the Portuguese autonomous region of Azores. It has a population of 11,039 inhabitants and a total area of 78.0 km². The town itself has 5,300 inhabitants. 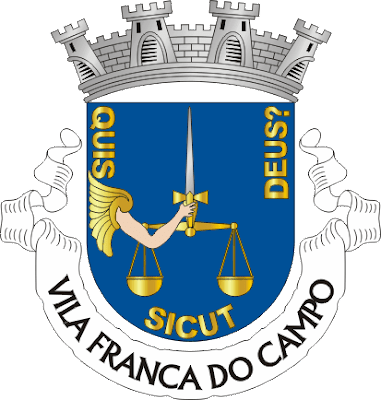 Vila Franca do Campo is located east of Ponta Delgada and is linked with a mountainous road connecting Ponta Delgada and Lagoa, Furnas, Povoação and the eastern part of the island to the east and to the north especially north. Most of the mountains are covered with forests and are grassy in both lower and higher elevations. The rest of the land are made up of agricultural lands and some forests. 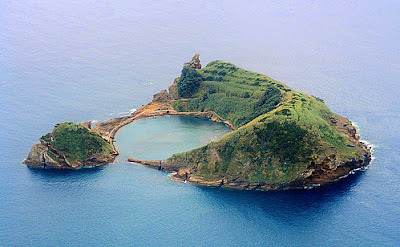 Vila Franca do Campo was established in 1472 and was the island’s first capital. Well into the early 16th century, Vila Franca remained the most important commercial port in the islands. The village’s prosperity stemmed from its port location; it served as the home of many governors, noblemen, merchants, and farmers. Vila Franca began humbly as a farming community; the settlers grew wheat, pastel, and sugar cane. Unfortunately, an earthquake in 1522 destroyed and buried the entire village and it had to be rebuilt, this time extending to the west. In the ensuing centuries, Vila Franca switched to other more modern industries: fishing, cannery, ceramics and shipbuilding. Today, Vila Franca do Campo provides some of the best displays of old-style architecture on the island, many of the buildings being constructed from the village’s “golden” days. In the town’s historic center, you’ll find the beautiful Igreja Matriz de São Miguel Arcanio, a gothic church constructed in the 16th century. The Baroque-style Igreja de Santa Casa da Misericórdia is another interesting gem, built in the 18th century and the home of a rich collection of embroidered capes in the image of Senhor Bom Jesus da Pedra. The town center is also adjacent to a public garden and the location of the Municipal Buildings built in the 18th and 19th centuries. The main square is Bento de Góis; you’ll find a statue honoring the esteemed missionary Bento de Góis and a convent, Convento de Santo André, that was built in the 18th century. Vila Franca do Campo is also the setting of many manors and mansions built by the upper class of the village’s past. Most of them are located near the marketplace. The Count Botelho, for example, was built in the 19th century and has an elevated tower. It is Vila Franca’s finest example of civil architecture. The Tagarete dock is another highlight of Vila Franca. Located along the coastal area, there are still remains of the village’s fort walls here built to defend Vila Franca against pirates. Close to the docks by the Praia Corpo Santo beach is the Castelo das Taipas, the first castle to be built in Vila Franca. If you are into ceramics and pottery, the Vila Nova is a worthwhile visit. This area extends to the ocean and is known for its pottery traditions. There are two museums here: the pottery house of António Batata and the collective pottery oven. And many stores in the vicinity sell quality clay dishware. The most exciting attractions of Vila Franca, however, are probably its beaches and nature reserves. The “Ilheu” of Vila Franca is a famous natural reserve not far from the coast, offering picnic, swimming, and boating areas. It is a great hangout and partying area as well. The beaches at Praia Corpo Santo and at Vinha da Areia are also hot spots where young crowds flock to for swimming and tanning. There are two points on Vila Franca that will offer some of the best views you’ll find on São Miguel: the lighthouse at Ponta Garça and the convent of Nossa Senhora da Paz. The former provides a breathtaking view of the ocean. 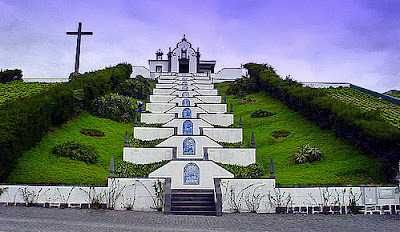 The latter is the sanctuary of Nossa Senhora da Paz, located in Vila Nova, and has a monumental staircase that leads to a spectacular view of the “Ilheu” of Vila Franca.